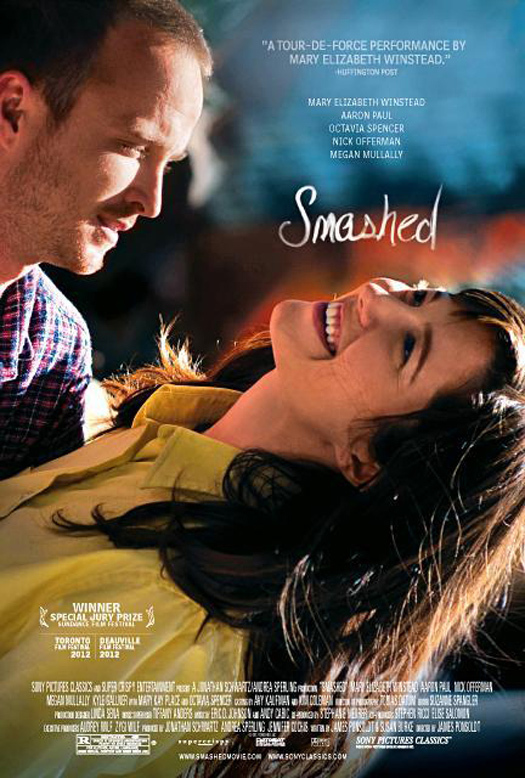 A collection of trailer, clips and featurette are below for 'Smashed,' directed by James Ponsoldt and starring Mary Elizabeth Winstead, Aaron Paul, Nick Offerman, Megan Mullally and Octavia Spencer. Kate and Charlie are a young married couple whose bond is built on a mutual love of music, laughter and drinking...especially the drinking. When Kate’s drinking leads her to dangerous places and her job as a school teacher is put into jeopardy, she decides to join AA and get sober. It opens in Ireland on the 21st December exclusively at the IFI and 14th December for the UK.